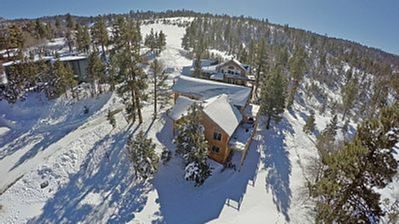 Swiss Delight is a beautiful Big Bear mountain home, equipped and stocked with your vacation experience in mind, and is perfect retreat location for all occasions and seasons. 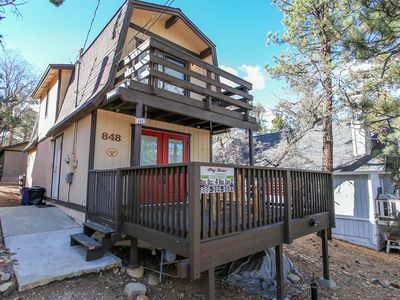 Located in a well treed and peaceful neighborhood, walking distance to beautiful hiking trails and half way between the two ski resorts and the downtown Village, you are under ten minutes by car to all that Big Bear offers. 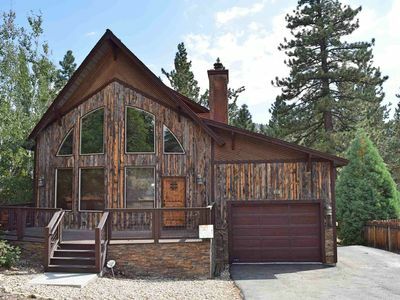 Entering this great home you will find the spacious living room, offering an open floor-plan into the kitchen and dining areas and boasting custom furnishings, a flat screen TV with streaming services, toasty fireplace, and wonderful mountain charm. 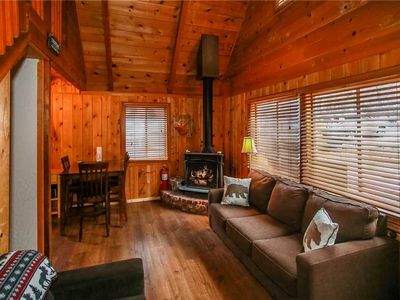 The chef of your group will fall in love with the spacious and well equipped kitchen, complete with cookware and essentials to whip up your home-cooked meals, while there is seating for eight provided around the custom log dining table. 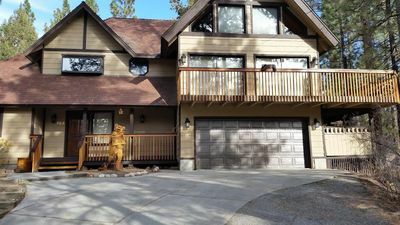 This multi-level home boasts 4 bedrooms, with enough sleeping for up to 11 people, and with it's sprawling layout affords the perfect amount of privacy and space for larger groups or families to still experience the mountains together. 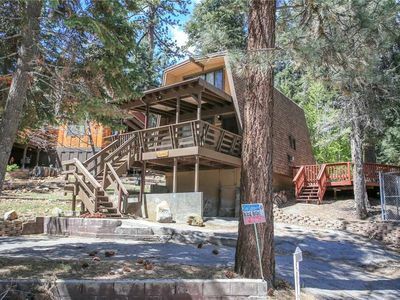 This middle level of the home boasts two of the bedrooms, while there is a lower level bedroom available and the massive upstairs "bunk room" has multiple beds along with a shared hallway bathroom and a cozy game room area with foosball table. 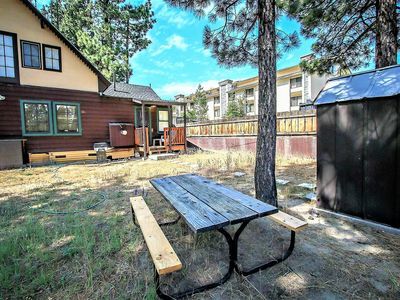 Venturing outside the cabin enjoy the large and fenced back yard, complete with a nice deck and brand new hot tub plus a charcoal BBQ is available for your use. 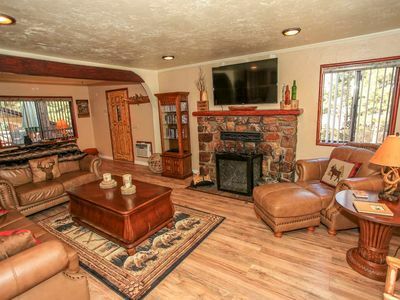 Swiss Delight is truly a delightful home, pairing ultra relaxation in this central alpine environment with the comforts of home and mountain chalet motif your group will be ready to return year after year to this amazing escape! 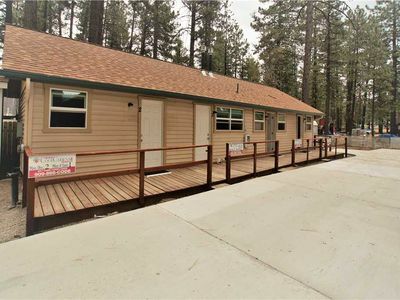 Big Bear 4 Seasons Three - Walk to The Village and Lake! HBO, WiFi and Walk to Park! 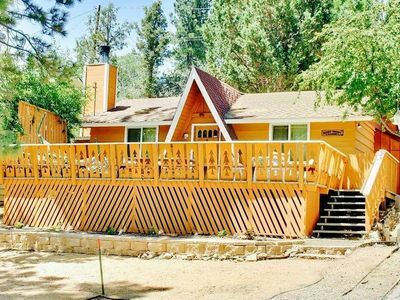 Canyon Retreat: Luxury! 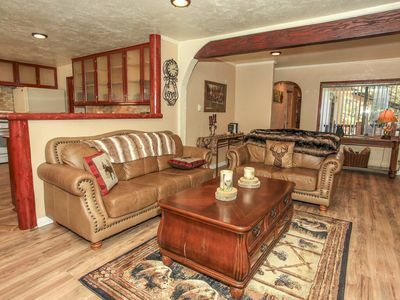 Large Hot Tub! Propane BBQ! 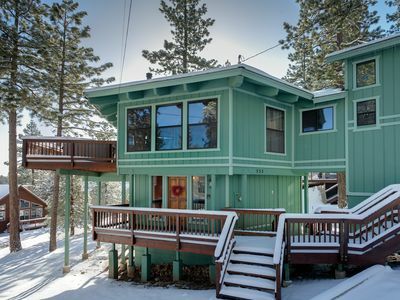 Close to Bear Mountain! WiFI! Dylans Secret Hideaway: Walk to the Lake! Pool Table! Foosball! Gas BBQ! Hot Tub! 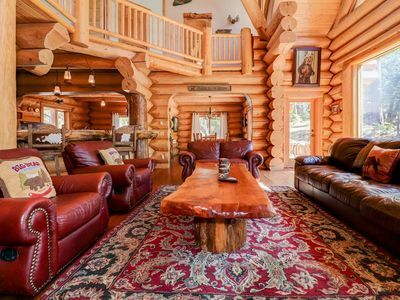 Kodiak Lodge: 5 Star, Log Style Paradise! 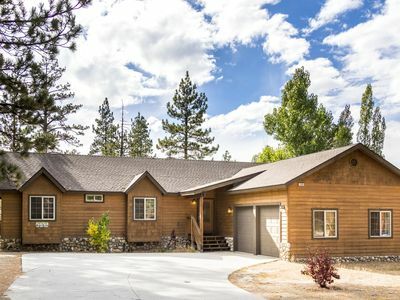 Close to the National Forest! Hot Tub! Pool Table! Sauna! 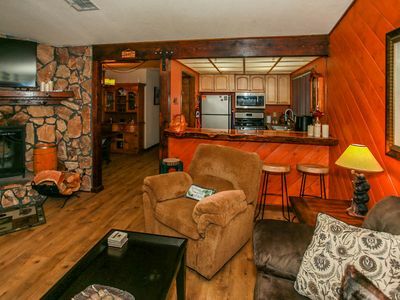 Fox Den Hideaway: Hot Tub! Close to the Village! Foosball! Cable! Internet! 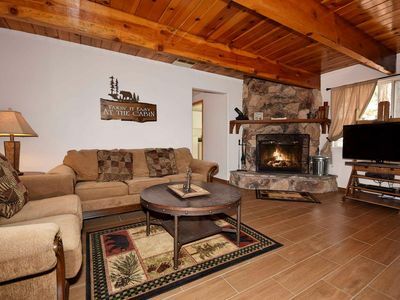 Wood Burning Fireplace! Mtn Views from Hot Tub on Terrace! 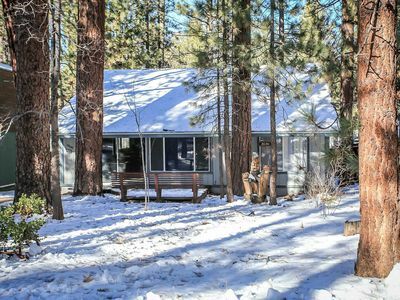 Minutes from Ski Slopes, Zoo & Golf Course! 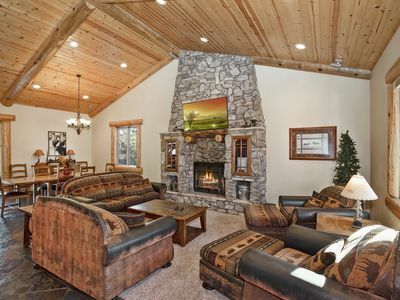 Castle Glen Lodge: Luxury in Castle Glen! 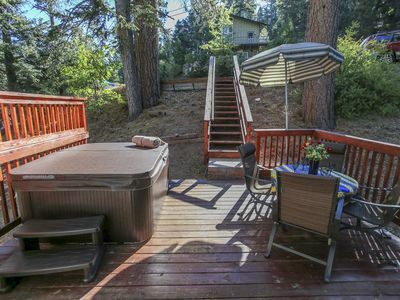 Outdoor Hot Tub! 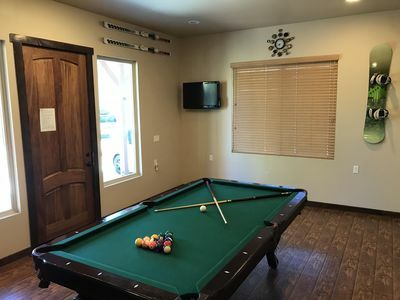 Game Room with Pool Table! 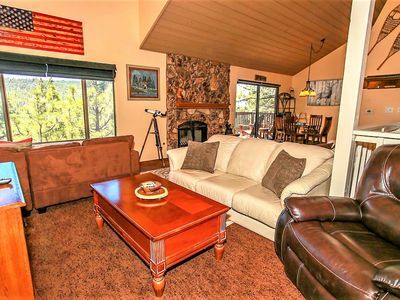 Lake Views!